Size of this preview: 800 × 600 pixels. Other resolutions: 320 × 240 pixels | 640 × 480 pixels | 1,024 × 768 pixels | 1,200 × 900 pixels. 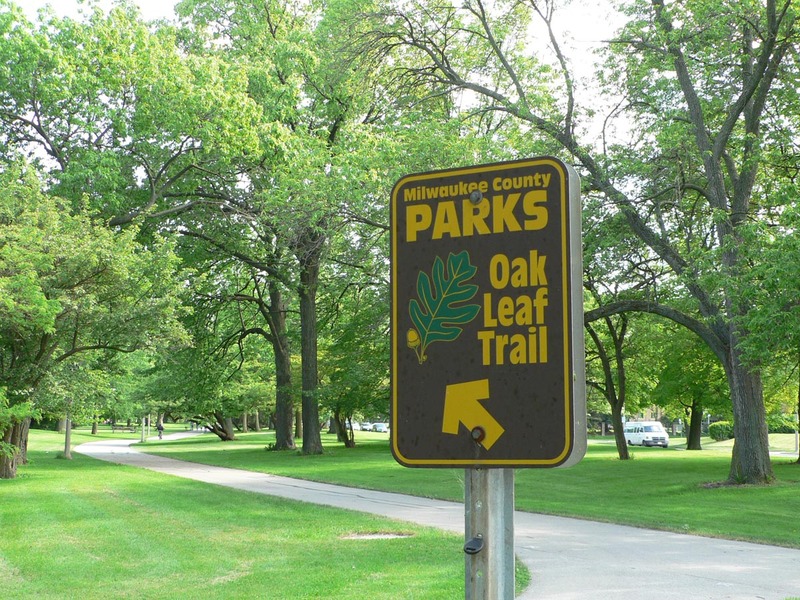 English: Copyright © 2006 Sulfur An Oak Leaf Trail sign in Lake Park, showing a portion of the paved 106 mile multi-use recreational trail which encircles Milwaukee County, Wisconsin. Author The original uploader was Sulfur at English Wikipedia.